The BFG is a 3D animated film from Walt Disney Pictures and Amblin Entertainment with Steven Spielberg directing and co-producing. The music score is by John Williams. 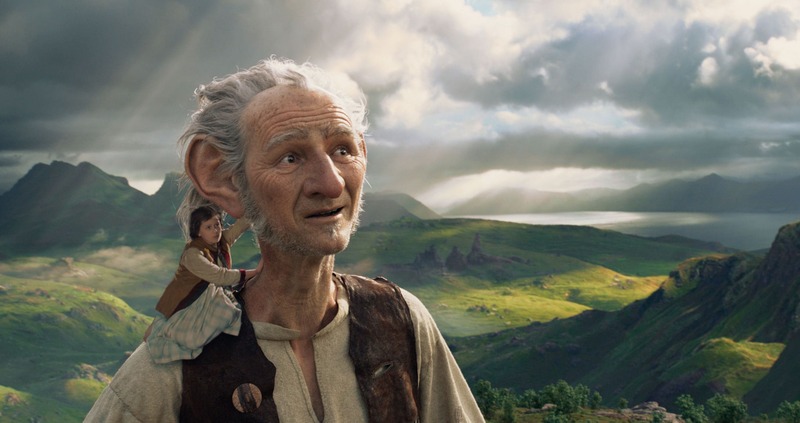 The BFG is an adaptation of Roald Dahl’s beloved classic story set in 1980s’ London, England. It follows the main storyline of the book, but it’s not necessary to be familiar with the book to enjoy the film. The film begins with Sophie, an inquisitive young girl who has lived in an orphanage most of her life. She has insomnia and roams the building at night while aware of the noises on the street. Lured to the window by these noises, she spies a giant. She climbs back into bed in fear as the giant snatches her up and takes her to Giant Country. He explains to her he took her because she saw him, and he couldn’t let her make his presence known. BFG speaks in a quizzical and whimsical manner: he’s constantly confusing words and sayings and turning them into entertaining words and phrases. 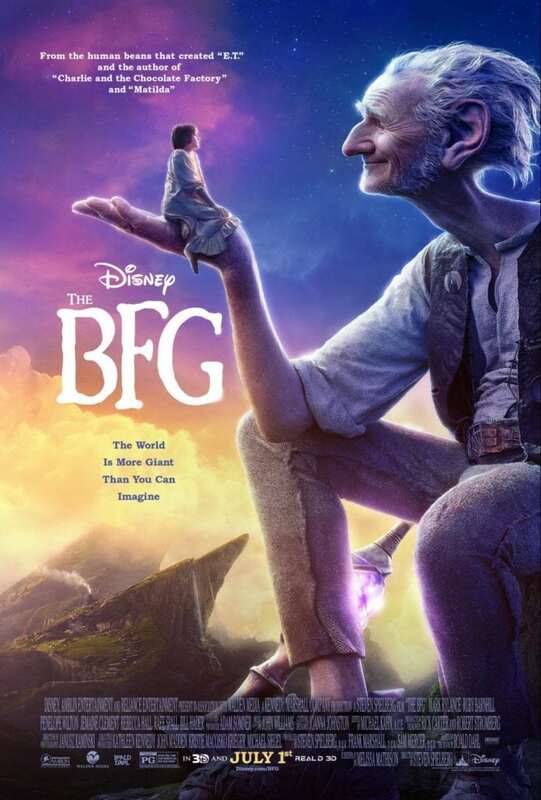 Sophie and the giant, BFG—Big Friendly Giant—quickly learn to get along as she understands his quirks and that leads them into a symbiotic friendship. They both have a love of reading, BFG previously had another child friend who taught him to read. BFG is a friendly giant who does not eat humans, but the other giants do, so he hides Sophie. He subsists on snozzcumber, a vegetable, and a fizzy drink he makes called frobscottle. BFG also is a dream collector and takes Sophie to Dream Country with him. The dreams flit around like colorful lightning bugs, and the dance of the dreams is enhanced by the symphony music. BFG captures dreams in jars and labels them to give to people when he’s in England. There are also bad dreams, and one is accidentally caught. It proves useful later in the movie. BFG keeps his “work” in a secret room, but Sophie learns of it. She asks him to tell her about the dreams and how they work, and she dares to inquire about her dream; he tells her of the life she’ll have in the future. 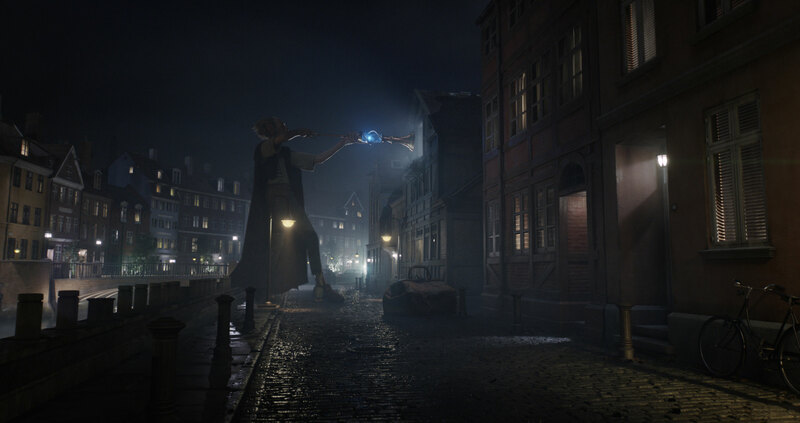 Sophie convinces the Giant to allow her to travel with him and observes him giving dreams to people. The other giants subsist on humans, and they prefer children. They discover Sophie and mayhem ensues. 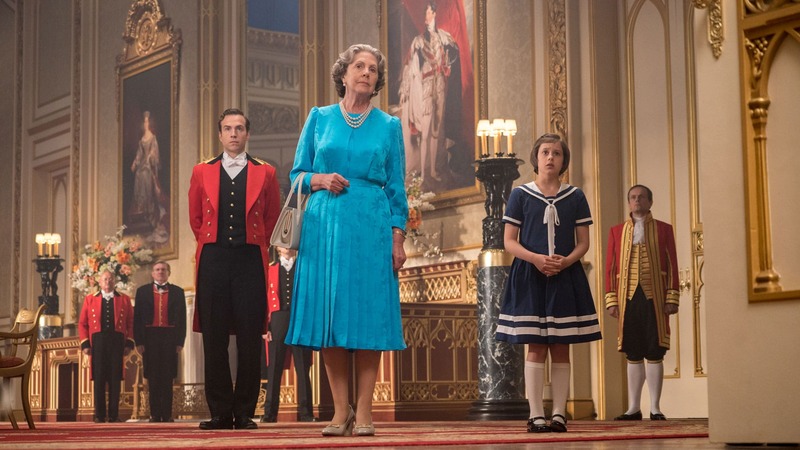 Sophie comes up with a plan—they will go to the Queen of England for help to stop the giants for good. Using a bad dream to tell the story of the need for help, they are able to convince the Queen to help them. The military is called in by the Queen, and the Giants are removed to a remote island with only snozzcumber for sustenance. The BFG is a delightful film for all ages with lots of adventure, love, Sophie and BFG bonding as a makeshift family, and the power of dreams. Disney and Spielberg did a wonderful job bringing the Roald Dahl story to life in the 100th anniversary year of Dahl’s birth, and the music of John Williams was a beautiful addition to the tale. This film is certain to capture the hearts of all who believe in the magic of dreams. 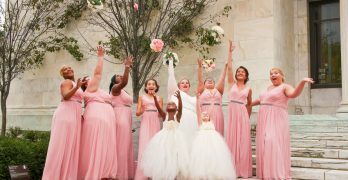 Denise Holcomb, mom of three boys in the ‘Burbs of Baltimore, is an author, alpha/beta reader, copy editor, and reviewer of products, books, and movies. 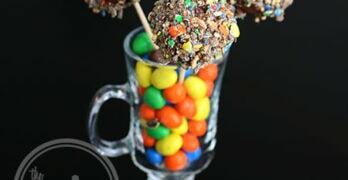 Follow Denise online: @momof3boysj on Twitter, Tumbler, @momof3boysj on Pinterest. Denise attended a free Advance Screening in exchange for her honest opinion.